Marty Beil, one of Wisconsin’s most influential and memorable labor leaders, died peacefully last night at his home in Mazomanie. 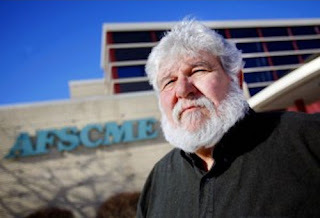 Beil recently retired after more than 40 years as a prominent leader of AFSCME, the public service employee union that was founded in Wisconsin and has grown to 1.6 million members nationally. Beil served as executive director of the Wisconsin State Employees Union, AFSCME Council 24, since 1985. “I was one of the fortunate, whose job was really my passion,” Beil wrote in an email to AFSCME members announcing his retirement. Though seen as a forceful and dynamic leader, Beil wrote that he understood the union’s victories and accomplishments were never his alone. “All of you and the thousands of workers who went before you were able to make life a little better for themselves and their families through the union, and I like to think that I played some role in that,” Beil wrote. Beil, who was 68, began his career in 1969 as a Wisconsin probation and parole officer. He quickly became active in the union. In 1973, he became president of his statewide Local and a member of its bargaining team. In 1978 he was elected Council 24 president, a position he held until being selected as the Council’s executive director. As director, Beil has served as chief negotiator and spokesperson for Council 24 through a period of rapid growth. His high profile as an outspoken advocate for public employees earned him appointments to high-level committees and commissions from governors of both parties, with the notable exception of Wisconsin’s current governor. Beil noted that AFSCME in Wisconsin, which has recently unified into one Council instead of three, is restructuring for the long haul, a process Beil said he was confident will succeed. “What excites me is the involvement and commitment of young workers to meet the challenge and assume leadership roles in our new union. These determined, savvy young leaders will re-energize and move our union forward into the future,” he wrote. We are devastated today at the sudden and tragic loss of Marty Beil, a fierce and courageous advocate for working people in the state of Wisconsin and across our nation. Brother Beil’s work was his passion, and his passion was fighting for workers’ rights and social justice – fighting to ensure that everyone in our nation got a fair shot at the American dream. Throughout his long and distinguished service, Marty Beil improved the lives of thousands of AFSCME members and their families. 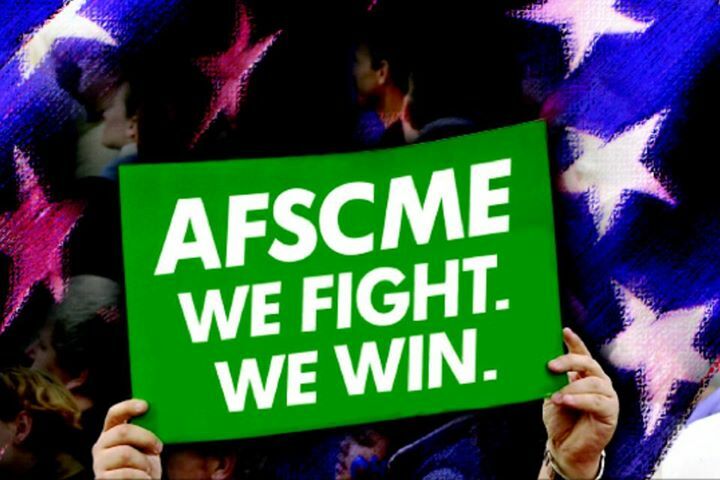 By leading AFSCME Council 24 through the darkest days of the attacks on working families in Wisconsin, he helped light a spark that reignited our labor movement. In turn, people across this nation rose up in defense of workers’ rights. He helped change the conversation in this country about what it means to respect the dignity of working men and women. Brother Beil spoke truth to power. And he backed his words up with actions. He never asked or expected anybody to make sacrifices that he wasn’t willing to make himself. A generation of labor activists learned from him and were inspired by his determination and unwavering courage, and their commitment and passion is his legacy. Today, our union is stronger than ever because of Marty Beil’s dedication and lifetime of service. The thoughts and prayers of our entire AFSCME family are with Marty’s wife, Susan, his children, Natalie, Audra, and Nick, and his granddaughter, Trinity. Being an officer in my Local and active with the union, I had the opportunity to meet Marty a few times. He always emanated a powerful presence but treated everyone as equals. Marty could be a very gentle man but would roar like the bear he resembled when angered by injustices done to members and friends of labor. To show what a leader Marty was, and still is, even while our hearts are breaking from the loss, all of us who loved Marty and was loved by him, are pledging to continue the fight to restore and preserve the economic and social justice that Marty had fought so long and so hard for. For Marty, we will fight and we will win.